How long are the video lessons and stories? Although the Video Lessons and Lesson Stories vary in length, they were designed to be used with young children and are therefore kept as brief as possible. 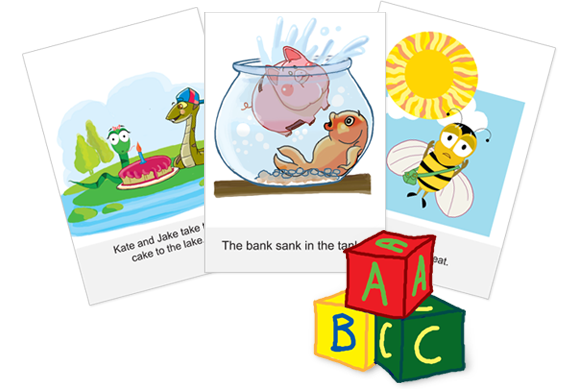 The point of the stories are to practice the lesson taught in the video and to practice reading Sight Words. The stories are kept short so that they can be read in one sitting and so that each story should not take the child longer than 15 minutes to read. Most young children do not have a long attention span, therefore the stories are designed for them to be able to concentrate for the duration of the story. However if your child does have a longer attention span, you can teach him/her more than one lesson a day. Simply have your child watch a lesson and then have your child read the story that corresponds to that that lesson and then have your child watch another lesson and read the next story.